Welcome to the MOB Show, this is the retail podcast. In 2012 I walked out of prison. I began my 30th year, with £49 in my back pocket, no home, no job and little prospect of getting one. 6 years later I had founded chain of 27 stores across the UK on a shoestring and a backpack full of stock. We have multi million pound revenues each year and if I can do this, then you can achieve your own entrepreneurial dreams too. With the ease today of setting up a website, social media profiles and easy to manage advertising options, there has never been a better time to chase your dreams. 83% of satisfied customers will refer your business to their friends, providing you've given them a good experience. Referral from a friend makes someone FOUR TIMES more likely to buy. So, what are you doing when it comes to a referral scheme? A referral scheme needs to be repeatable, relatable, and rewarding. Think of it like this, if the offer is so good that it would make you do it, then your customers will too. Billboard advertising is the 7th LEAST effective form of compelling someone to buy, get with the times, get referring. Are you an entrepreneur or a wantrepreneur? How to win sales on social media | What does Jab-Jab-Jab, Right Hook, mean? Do you go around in circles with poor recruitment choices? Do you struggle to find quality candidates? Maybe you're an applicant and wonder why no one picks up your CV and offers you an interview. Do you want to start getting job interviews more frequently? 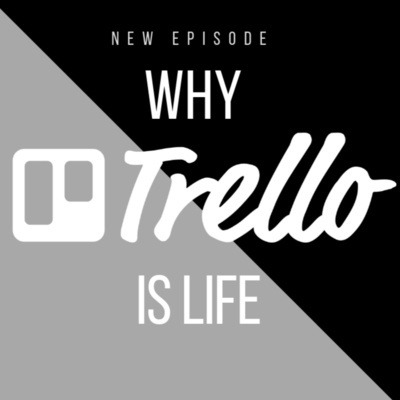 Inside this episode I talk about how to improve your recruitment issues and have a bunch of inside tips for those who want to be recruited better too. Growing your business, means growing your standards and growing the stature and job spec of the roles you have in your organisation. The same people who helped you grow your business to half a million per year, may not be the right people to take it to 5 million per year. NEWSFLASH - you might not be the right CEO for it too! So what do you do about that? You take the time to ensure that you aren't the smartest person in the room. Enjoy the podcast, please take the time to rate us, chuck us a comment and subscribe for new episodes. That's the MOBshow. Want to know the truth about getting head in business or in your professional life? Target Fixation is one of the biggest self imposed barriers faced by so many wannabe entrepreneurs, actual entrepreneurs and professionals. If you want to know what I mean by target fixation and how to challenge yourself to achieve more in life, then check out this podcast. 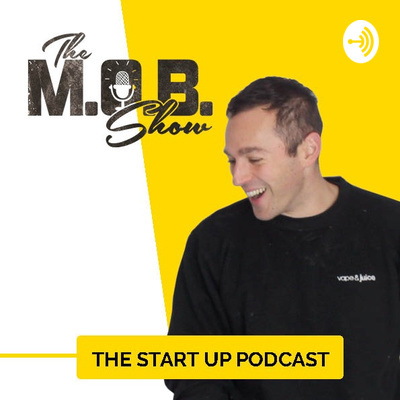 If you find the MOB Show podcast helpful for you in your business life or professional career, then head over to iTunes, chuck us a 5 star and share us on to a friend who could benefit too. 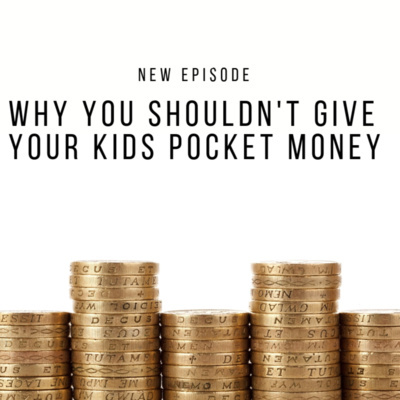 I will never waste your time with sponsored ads running through the podcast, I simply want to share my experiences to help others avoid these common pitfalls. 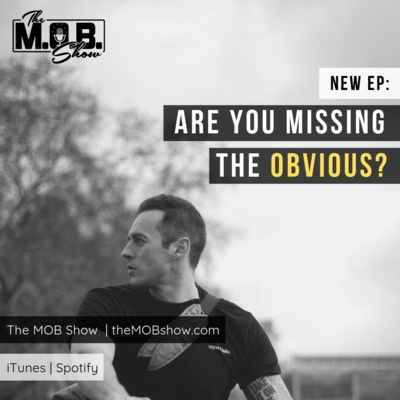 If you want to ask a question or get in touch with The MOB show, head over to Insta or Twitter @the_mobshow Or you can visit us online www.theMOBshow.com - The Retail Podcast Check out today's chat about Target Fixation, and becoming a better version of you to be around. The truth about why your marketing is not converting online is my take on what we often forget to do in terms of UX, aka user experience. We often do marketing campaigns to grow our online and offline projects, but have you ever stopped to really consider why some campaigns work, while others don't? The truth is, different audiences, have a different perception of your brand. Some will have never even heard of you. Why does this matter? Well if you are asking people to visit your website and they have no experience of using it before, they may simply not know where the items they like are to be found. This is why we talk about enhancing UX in business and taking the time to test for it. If you are going to spend the time to market, you should spend the time to talk about what goes wrong too. 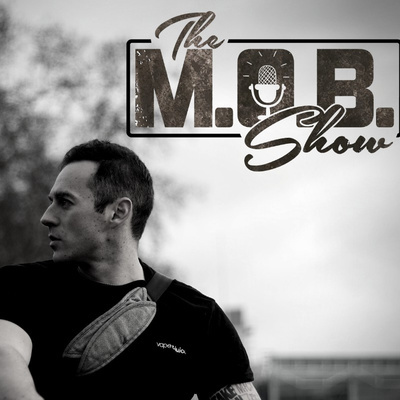 If you want to find out more about The MOB show, and how to ask me any questions, check us out online at www.theMOBshow.com or visit us on Insta and Twitter @the_mobshow Mason on business, draws from his retail experience of growing a multi-million revenue vape shop business and dumps all those findings for you, for free to improve your game. Check out our online vape shop or CBD eliquid shop too. And that is the truth about why your marketing is not converting. If I told you, that everything that goes wrong in your business is your fault, how would you react? Extreme Ownership is the act of taking complete responsibility of all areas of your business to ensure your plans are fully implemented. 'Way of the Wolf - Straight Line Sales' is the work of rogue Stockbroker Jordan Belfort. It's a business book with an edge. The focus of this title is about employing sales skills at the highest level. Straight Line Sales, is Jordan's technique for working efficiently as a salesperson and for building insane charisma skills. I listen to a shed load of business books on Audible, so I have taken the time to review this particular title and tell you what's cracker-lacking with it. If you want to improve charisma, sales or are looking for a how to sales guide, this business book review covers a title you should be taking a look at. How to improve Charisma - How to get insane sales skills - this title may be one of the most interesting business book reviews out there. If you want to keep on top of what's going on with The MOB Show, follow me on Insta @the_mobshow Check us out online www.theMOBshow.com and follow what happens when I trial out these ideas on Vaperun.com the Same day vape delivery company, CBD Star and Vape and Juice. Patience is the most undervalued attribute in humankind. I answered a profoundly sad question this week on Quora that I hope got through the recipient. It highlights just why patience is the key to success. If you are in a funk, then this podcast is for you. I talk about how I ended up going from a bad place to a happy one. Life is for exploring, but be patient and open minded. 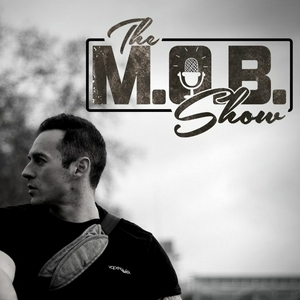 Check us out at www.themobshow.com insta/twitter @the_mobshow Please share on to a friend and chuck us a review where you can. We are documenting the launch of our new business CBDStar and are taking the time to talk about what apps we are using to grow our following. If you are starting your own business, then check in and see how we have got on with the plethora of 'grow your followers' apps. In this podcast I cover a YouTube app, Twitter and Instagram. Welcome to the Startup podcast, I'm Mason on business. We are preparing today for our first outside interviewee, Jonathan Pfahl. CEO of Rockstar Group, he's an entrepreneur, a mentor and has seen the rough with the smooth. While waiting for that we are setting up our Twitch channel. If you haven't heard of Twitch, then imagine you could be on Youtube 7 years ago, then this is the gaming version of that. No-one quite knows what it will be just yet, but its growing fast and is another avenue to build your profile with the customers of tomorrow. If you want to find out a bit more about Twitch then this episode is for you. Thanks for listening and stay tuned this weekend for our interview with a rockstar. Episode titled Jonathan Pfahl. Have you ever asked a question or read the answer on Quora? Well Quora is a big way to win if you want to grow your personal brand and its as easy as caring enough to write decent written content. This episode I talk Quora, how to use it and how Twitter let's you win from under your duvet. How to win at Amazon, when all about you are losing theirs. Okay, I have kind of b*stardised someone else's quote there. But, this - 'How to win at Amazon', is my cheeky getting your own back tip, to boost your own brand awareness while using Amazon. Promise me one thing please - if this is of value to you, share it on to three people you think will appreciate it to. Go on ;) What does 'winning at Amazon' mean? I mean, operating an e-commerce business, but also using Amazon, not about making money on the site, but about connecting with potential future customers of your own site. I break down in this podcast how to do this. This is one of those tips, I simply have never heard someone mention in their tell all books, or 'how to be an e-commerce entrepreneur guides'. I don't charge for this gem. Did you ever think the word ecommerce is so much easier to type than e-commerce. But if you don't stick a hyphen in on your text, it shows up that annoying red spelling error line. I am distracting you - HOW TO WIN AT AMAZON! Amazon is a curse but can be a blessing for online or offline retailers. This is a 7 minute podcast max that you literally have to listen to and I am not selling snake oil. The only pleasure I get out of this, is seeing those listener numbers go up. If it's a good idea in your eyes, be a doll, and share it on. That's the only payment I ask of you. 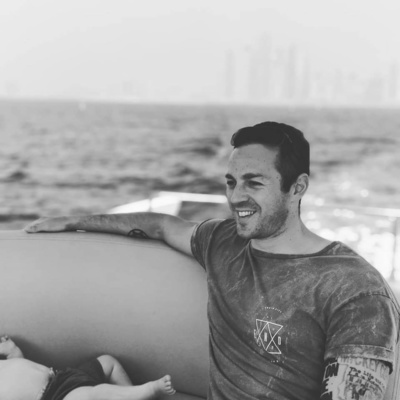 You will see shed loads of MLM systems being touted online and FBA seminars, particularly right now on Insta advert feeds, they are there to make money for the trainers. They are not true businesses in the sense of the word and if you get involved in them, remember that you are offering no extra value that I or others can't also offer. Importantly, Amazon can do it better as well. Once Amazon sees that a product is doing well, they stock it and then sell it themselves and then it's game over for that segment or SKU. This is why I believe it's vital that you create a brand that is unique and is backed by a level of customer service or localised specialty that Amazon can't compete with as it's too micro. Do this and use the growth hacking tip I give on today's podcast about to how to use Amazon to grow your own website business. Don't fall for the Fulfillment by Amazon training seminars etc, or MLM schemes out there. They make money for very few people and divert your energy away from doing something that you uniquely love doing which could be your own project for decades to come. Selling 'kids neon torches' from Shenzhen for a couple of months because you have found an out of stock area on Amazon that's led to a surge in sales on the marketplace, is not a sustainable or a long term model. That's me for today, check out the podcast the real juicy info is in the show. That's how to win at Amazon and growth hack your ecommerce business. The £500 a month Marketing Budget for a small business or startup. What you should spend your money on each month for marketing if you have £500 a month or less. For many businesses, big capital to outlay on marketing budgets, just isn't there. Whether your new business is a side hustle or a new company, a budget of £500 can really get you moving providing you commit the time to it and are willing to do the additional work. The audio of my recent YouTube video discusses how you can get your business growing month on month whatever your sector with a budget of just £500. The state of commerce and in particular high street stores is constantly in the press. With a stream of interesting news over the Christmas period about retail, I talk about the state of the wider High Street and the future of big brand Halfords. Part of me is posting this simply to document its future collapse and a massive pat on the back on what will be another loss in the coming 12-18 months. There is a common question asked in business circles with the ever growing presence of apps and social media platforms. What is it? It's 'which social media platform should I use to promote my business?' Today's episode is going to answer that for you. We have long struggled with every new social media site that begins, it means more content right? This episode will identify for you how to create enough content for all. Importantly, how you can streamline that content creation process. Content is credibility is a fundamental philosophy that I follow. I urge others to consider it too. What does it mean? It's about the brand equity you get from observers when they see that you either talk sense or are so invested in your sector that they feel they can trust you when you speak. That brand equity is so valuable if your business is based on sales, or on any element of trust handover. If you are asking someone to give faith to you in your brand, then creating content is credibility. Make sense? Then check out today's podcast. Which social media platform should you use to promote your brand or business? All of them, and I will show you a quick management trick that helps you reach out to the widest audience in the simplest way. This episode talks about how to price products for your online and offline shop. I discuss bias in power and buyers in need as well as undercutting pricing and loss leaders. pricing your products correctly is the difference between success and failure but also it's important to recognise the difference between price and value. 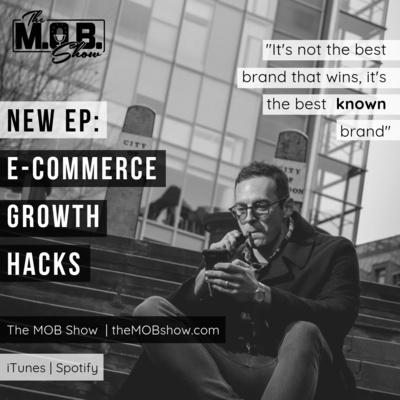 we hope you find this podcast helpful to set your pricing and if you have any comments please send them to us on Instagram at the_mob show. pricing is affected by taxes in the UK the USA and Europe it's important to make sure that when you set your prices you consider future taxation because your customers won't want to pay more. How to get customers into an offline shop. The power of indexes. If you are looking to drive more customers to your offline Bricks and mortar shop, then check out this first step. Marketing for offline shops starts online and I explain how, in this episode that I have reiterated before. Prison to profit, not another prison podcast. Tales from rock bottom up, dives back into why I am doing all this and how I came to be sat where I am now. I don't intend to produce just another prison podcast, instead I want to talk about the good that has come from my experiences, my life truly has been, prison to profit. If I can turn my life around, then you just hating your job is not a good enough reason to be sat on your hands letting the world go by. NB: This is not a podcast about ill gotten gains and living off the fat of that. This is for every one who has ever messed up in their life and just needed a little motivation to know they can restart again. Here's to absolutely anyone, who gets gee'd up a little and feels a bit more positive from this all. If you like this, please do me a solid and share on to at least one person; then save a dolphin. Does University matter for business? We talk about Gary Vaynerchuk's recent discussion on the current downturn of University appeal as well as the worry that University debt will have in causing the next financial meltdown. Fail to prepare, prepare to fail. If you're like me and love a to do list, then this podcast introduces a great new app you should check out. Plus an update on Virthium the review rebate app. Are you struggling to keep on top of time sheets? Are your staff getting to work on time? Do you even know. We are talking about RotaCloud today and how to encourage customers to write reviews with Shopping rebates. Looking to open a retail business in a bricks and mortar location. It's old school, but be new school about marketing it. Introducing Mason Zacharie and how to hustle small business. I love Apps and I love Hip Hop. I will probably deviate from both in my passion to talk about growing businesses.